Snapshot – Ford India is basking in the success of the EcoSport, with the car maker able to sell more cars than it can make at its Maraimalai Nagar factory, off Chennai. While long waiting periods for the EcoSport are a concern, Ford is working on a greenfield production facility at Sanand, in Gujarat. The new manufacturing facility will go on stream from the end of this year and two new car models will roll out from there. Apart from the new car models, Ford will also launch a facelifted version of one of its slow selling products and an all-new SUV. CarToq rounds up Ford India’s new launches for 2014 and 2015. 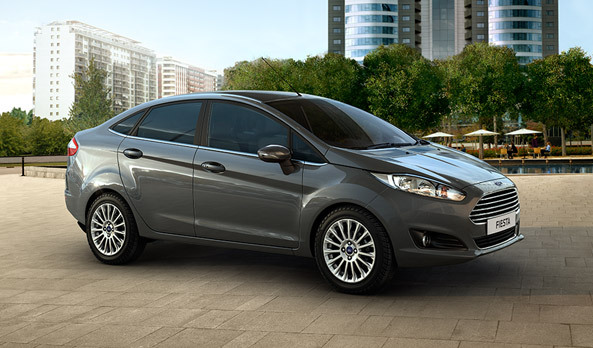 The Fiesta facelift sedan is launch ready, and Ford India showcased the car at the 2014 Indian Auto Expo. Featuring Ford’s new global design philosophy with the Aston Martin-esque grille forming the centerpiece, the facelifted Fiesta is a much more striking looking car than the outgoing model. Perhaps, this is the factor that Ford is banking on as it seeks to turn around the fortunes of the Fiesta sedan in India. Launched in 2011, the new Fiesta sedan was paralyzed at the hustings due to over optimistic pricing, which was later corrected, but to little result. With the new Fiesta, Ford India could take the diesel-only route. Click here to read more. 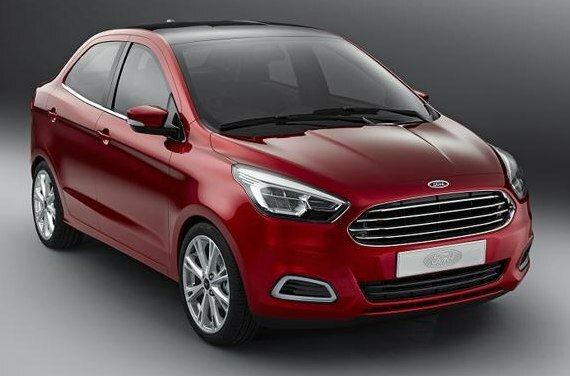 The Figo compact sedan concept was revealed ahead of the 2014 Indian Auto Expo. The car received rave reviews for its looks and is easily one of the best proportioned compact sedans unveiled in recent times. The car measures under 4 meters in length and is based on the 2015 Ka concept platform, which it will share with the 2015 Figo hatchback. The platform on which both the Figo hatchback and compact sedan are based on is a modified version of the existing platform that the current Figo hatchback uses. This platform modification approach will allow Ford to keep costs low. The top hats of both the cars is completely new though. Expect the Figo compact sedan to make its debut in India next year. The 2015 Figo hatchback based on the Ka concept will share engines and transmissions with its compact sedan sibling. 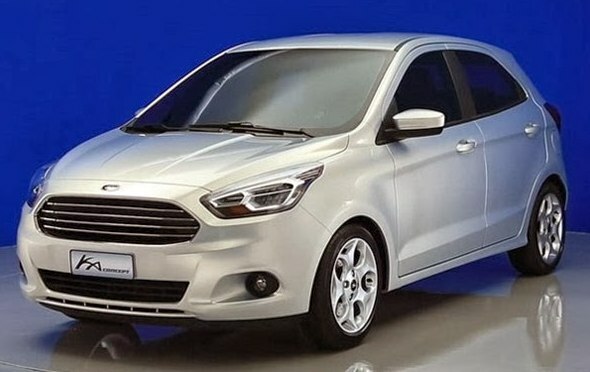 A 1.5 liter TDCI turbo diesel engine is likely to be the mainstay of both the cars with a non-turbo version of the 1 liter EcoBoost petrol engine on offer in petrol variants. Both cars will roll out of Ford’s new factory at Sanand. Both manual and automatic gearbox options are likely to be offered on the 2015 Figo hatch and compact sedan. A slew of new features such as the second generation Ford SYNC infotainment system and push button start will make it to both cars. With the 2015 Figo all set to go on sale in Brazil in the next few months, an India launch by the middle of next year is likely. 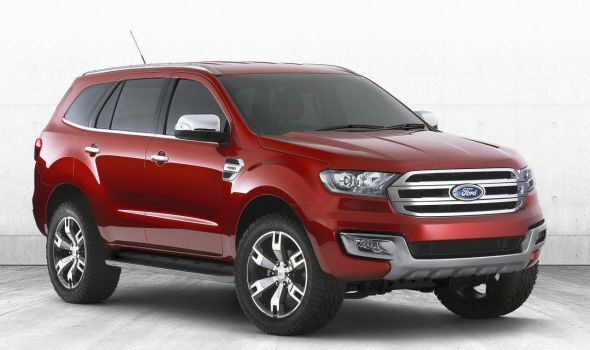 The 2015 Ford Endeavour SUV will arrive into India sometime in the middle of next year. The luxury SUV will sit at the top of Ford India’s car line up in India, taking on the likes of the Toyota Fortuner and the Hyundai Santa Fe. The 2015 Endeavour will retain a ladder frame chassis, albeit one that is lighter than the one on the outgoing model. While it will share its chassis with the Ford Ranger pick up truck, the 2015 Endeavour’s interiors will be well appointed, deriving inspiration from the likes of the Edge and Explorer SUVs. Ford is also said to be working on a new TerrainResponse-based all wheel drive system for the 2015 Endeavour, which could retain its current diesel engine line up for India.